I believe in the power of PAINT. 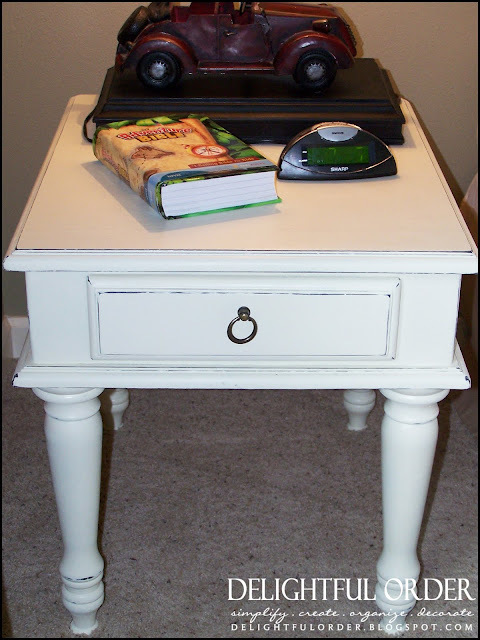 You can transform a room with a gallon of it AND you can transform a little side table with a few cans of spray paint, which is exactly what I did with this lil' bedside table. 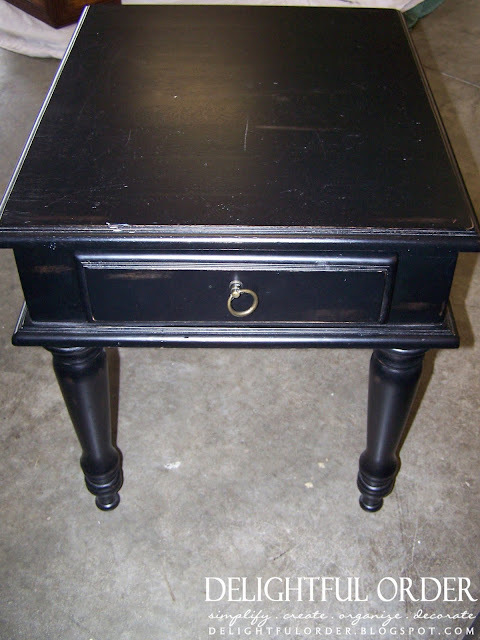 The black wasn't bad, but this lil' table lives in my sons' World Traveler room and I really don't have much black going on in there. So I decided to change the color. First, I gave it a light sanding and then sprayed a couple coats of white primer on. 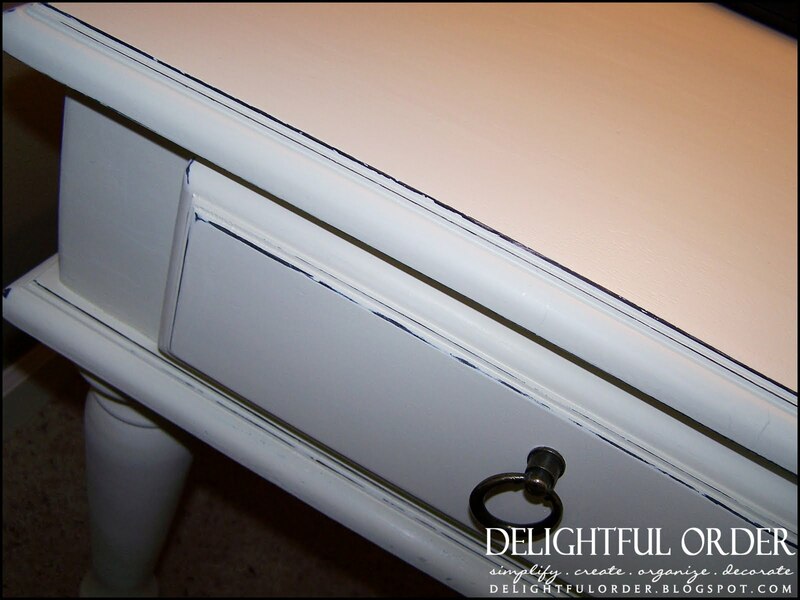 Then I gave it many coats of this Satin Ivory spray paint. 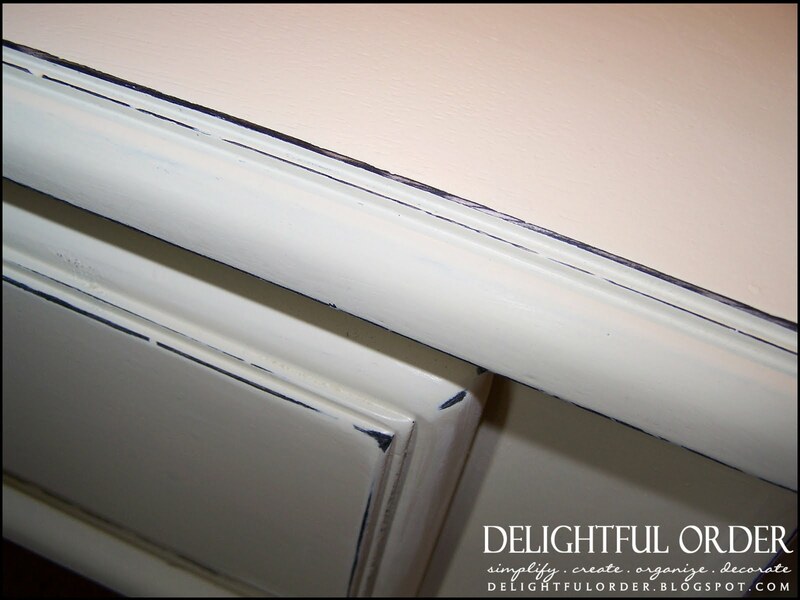 Once the paint was completely dry, I took a piece of sandpaper, and lightly sanded the edges, to reveal some of the black underneath. Giving the table a little "worn" look. Since I haven't painted a lot of furniture, I'm still learning. 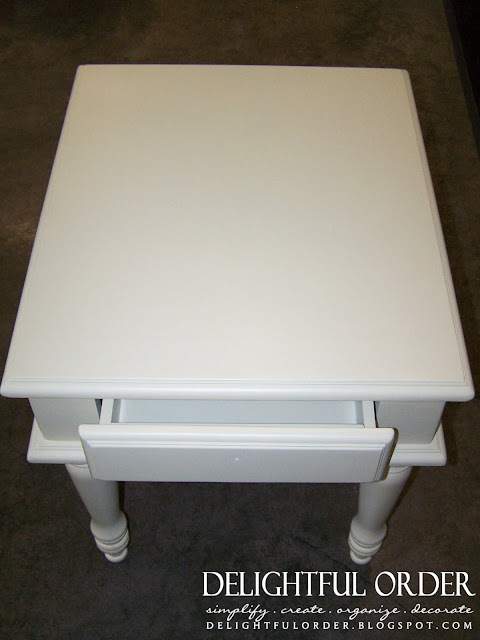 So here's my questions for ya'll...I haven't given this table a top coat, do you know of a good top coat in a spray can? or is there only top coats that need to be brushed on? and what's the brand? P.S.... YOU still have time to ENTER our current giveaway going on NOW until Monday, June 6th. Click (HERE) to enter TODAY. 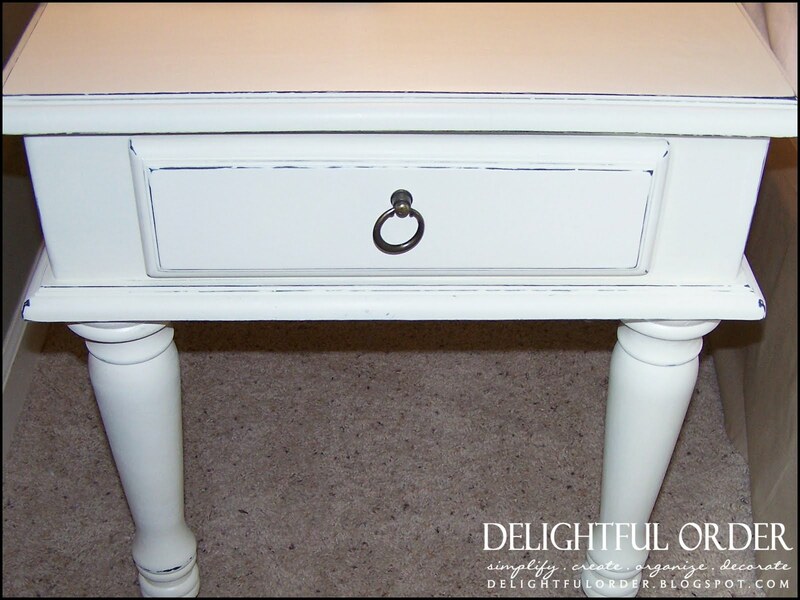 I recently painted a little table with the same ivory spray paint. It's so pretty. As far as the painting question, I have no idea. I don't know much about painting. It is indeed amazing what some white paint and effort can do to makeover a piece. It looks lovely and reminds me that I only finished one of our family room end tables and need to get busy on the other one! oops, I meant ivory paint, mine are white! You have to love spray paint...this looks great! I know there is a spray polyurethane you can find with all of the other spray paint in the store if you want to stay with spraying. I like that "distressed" look and have considered trying it but never have. This may motivate me. 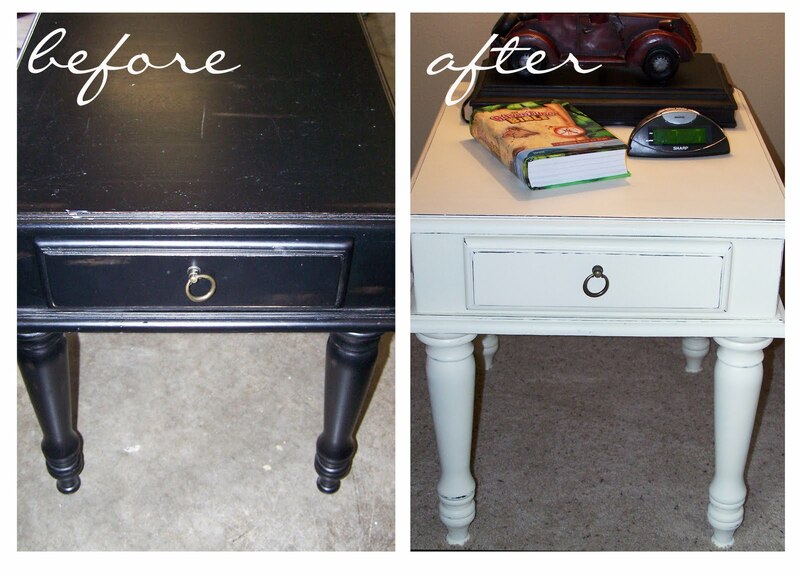 I have spray painted and brush painted a lot of furniture, though. I have an opinion on a protective coat. I started using Minwax Paste Finishing Wax about 5 years ago. You apply it with a cloth. Once a year when I do my great big, clean everything, spring cleaning extravagana, I rub on more with a dry cloth and remove excess. All of the furniture I have used it on still looks great. Anyway, that's what I do. Much better in the white! Love the distressing -- turned out very nice! As far as a top coat, I'm stuck on using the brush on acrylic polyurethane -- for me it always gives a solid coat of protection. Very pretty! I SO need to do my first piece of furniture! It's all the rage on all these crafty blogs. Wow, this is gorgeous! I love how adding paint completely changes it. You did a fabulous job! Love the table!! PLEASE don't use a polyurethane on it. I just read a blog that she redid her whole bedroom set white and put polyurethane on it and it turned yellow in spots and she ended up having to redo the whole set. 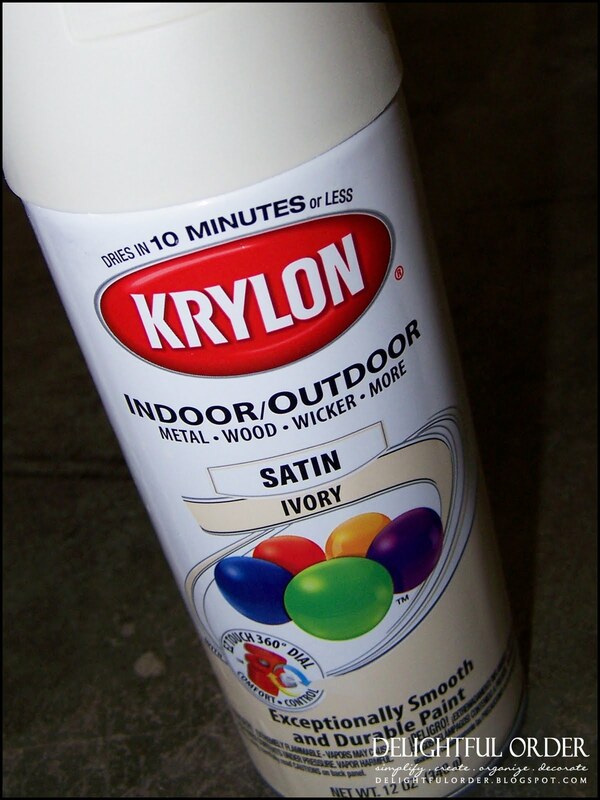 I was just at the hardware store and the guy told me that it's fine to use the clear spray paint by krylon on it. Hope this info helps!! So pretty and crisp! I have a couple bedside tables awaiting transformation but have yet to decide on a color. Thanks for the inspiration! Make sure you use an acrylic poly on top.. otherwise it will yellow. Brushing on isn't bad like Lauren said. Brooke is right..Regular poly on paint will yellow.